Paper shredders are getting cheaper over time as manufacturers are shelling out machines of all sizes that can handle varying loads and materials. While the new low costs and added features may sound favorable to the consumers, there is still a large caveat. When machines are mass produced, quality and durability are not considered and can even be deliberately ignored to increase the turnover rate and sell more paper shredders. Paper shredders are designed to eat through all kinds of paper with some even designed to handle credit cards, CDs, DVDs, paper clips, and staples. Even with their purpose in mind, paper shredders are one of the most notorious machines in the workplace that seem to fail time and time again. 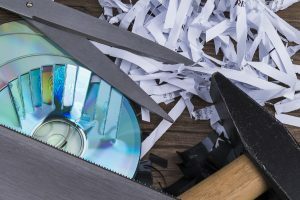 Data breaches can cripple or even take down a business, making document destruction a practice that every business in any industry should endorse. 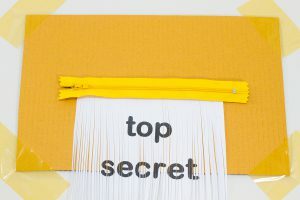 In order to keep the risks of a data breach to a minimum, shredding in-house at your location is a great way to keep less people involved with the exchange of important documents while an employee in management can supervise the entire process. Using a personal paper shredder to destroy hundreds to thousands of papers can not only take up valuable time, but can put the most durable paper shredder out of commission, even with proper maintenance. You can avoid the hassle with maintaining a personal paper shredder and ensure that your papers are thoroughly destroyed and recycled by renting a paper shredder. Mobile shredding brings a secure truck equipped with an industrial shredder directly to your location to shred all your sensitive documents on-site. With this service, professionals never come into any physical or visual contact with your papers and you can monitor the entire process to make sure the shredding was performed up to your standards. Included with this service is a certificate of destruction which can come in handy should your company be accused of a data breach in the future. For businesses that don’t have a lot of shredding to do, whether your company has gone paperless or you simply don’t deal with very many sensitive data on paper, you can still get your shredding done without owning a paper shredder. Drop off shredding services are located all around the country in nearly every city. Simply pack up any papers you may want shredded and drop them off at the nearest drop off shredding provider. They’ll take care of your document destruction for your and make sure the indecipherable remains are properly recycled. Shred Nations is your resource to finding high-quality, affordable, and secure shredding services that are the perfect fit for your home or business. From large to small volume shredding, Shred Nations can pair you with the shredder that meets all your pricing and security requirements. To get free, no-obligation quotes in minutes, give us a call at (800) 747-3365 or fill out the form on the right.